same shopping center as PNC Bank and GoodEase. 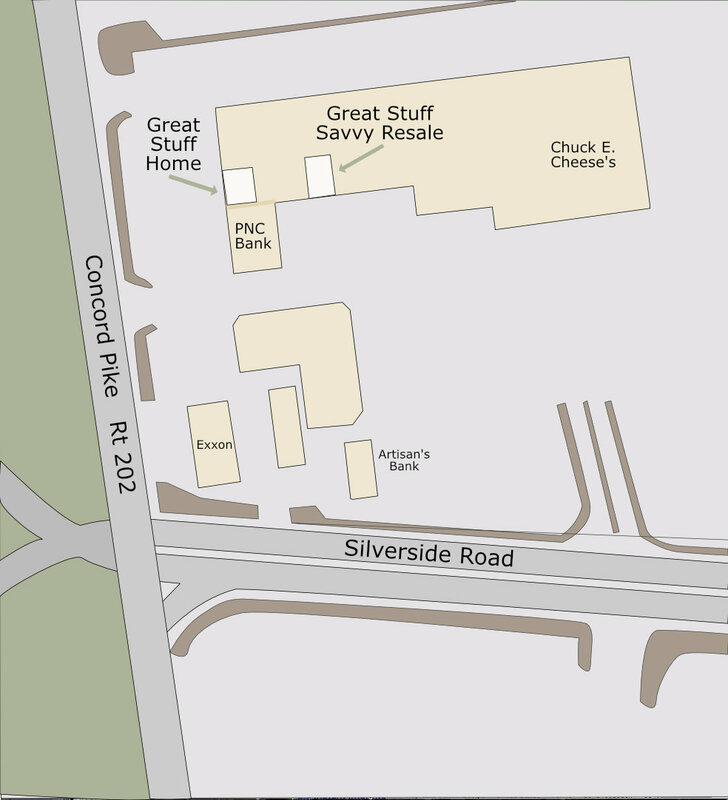 Store locations in the Talleyville Shopping center. Click to enlarge.